Author: Llewellyn, Richard Set In . . . The international bestselling winner of the National Book Award and the basis for the Academy Award Best Picture film directed by John Ford. Huw Morgan remembers the days when his home valley was prosperous, verdant, and beautiful—before the mines came to town. The youngest son of a respectable mining family in South Wales, he is now the only one left in the valley, and his reminiscences tell the story of a family and a town both defined and ruined by the mines. Huw’s story is both joyful and heartrending—a portrait of a place and a people existing now only in memory. 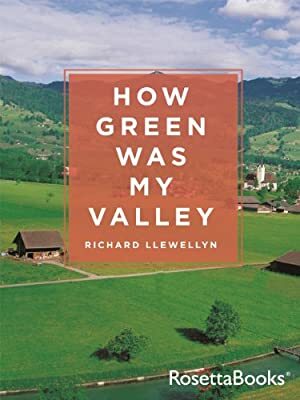 Full of memorable characters, richly crafted language, and surprising humor, How Green Was My Valley is the first of four books chronicling Huw’s life, including the sequels Up into the Singing Mountain, Down Where the Moon is Small, and Green, Green My Valley Now.